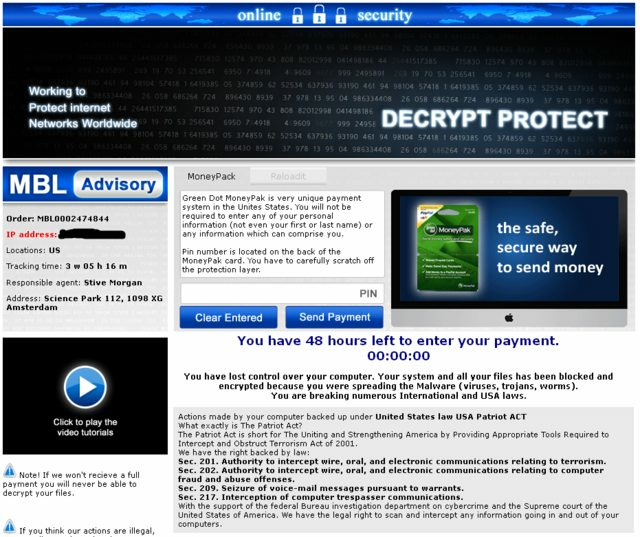 Please merge this post if a topic including this type of ransomware already exists. I have seen this on a couple of customers computers over the last few days. 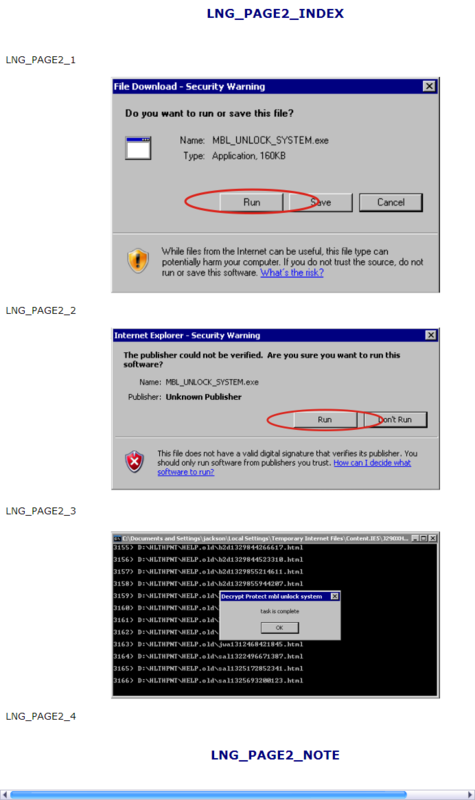 This ransomware encrypts doc, pdf, jpg, rar, zip, etc and makes them all html files. Attached is a sample of one of the files. Uses a UID from the PC as an argument when connecting to the page and displays content only when the UID is given. I do not have a sample of the dropper yet, I'll post one as soon as I find it. Edit 17 may 2013: Gotcha ! Some way to decrypt the files? Not sure yet if the key changes per client, but it doesn't look very random so probably the guy typed it manually. EDIT: ah, it seems there's an additional scrambling applied to the file. If you upload one of the encrypted files, I can check if it can be decrypted. @reverser Is the key different for every client? I am attaching a sample files, original and encrypted. I used he sample posted by Xylitol. Here's the decryptor, source and precompiled. Works on the posted files. It will automatically detect the encrypted malware files and tries to recover the file names as well. My thanks go to both Xylitol for the actual malware sample and reverser for noticing the file size limitation that I completely missed and wondered why it didn't work properly for some files . Thank you, very good job. Does the Spamhaus Agent XML advisory with the encryption adding .html to the end use the same encryption as this one (MBL advisory) I wonder.